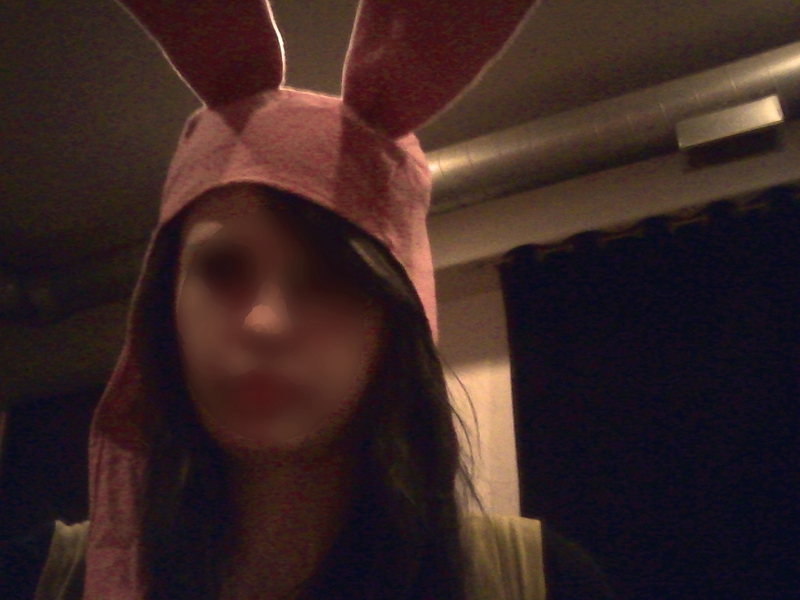 I made a hat like Louise's from Bob's Burgers for Halloween. I love Louise and her evil plans. She is my favorite cartoon character right now, which is saying a lot because I really like cartoons. 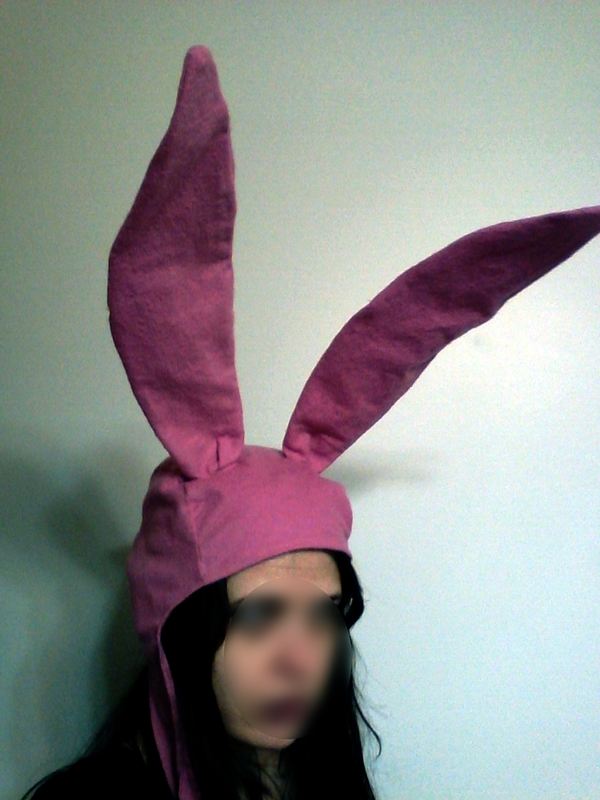 Unfortunately, I did not make it out this year, so I will have to think of something else fun to do with my bunny-ear hat. I made the hat out of pink flannel and used wire to make the ears stand up. I also added a couple of wig clips so it wouldn't fall off. It also reminds me of Gummo, so that's a plus - maybe a 2 in 1 costume piece? Omg M this is genius, so cute and hilarious! Kristen Schaal always cracks me up. OMG Last Man on Earth is my favorite show right now - it's so stupid haha. I love how her character bedazzles everything but she was so manipulative at first that it was kind of scary.You must marry me!!! lol.